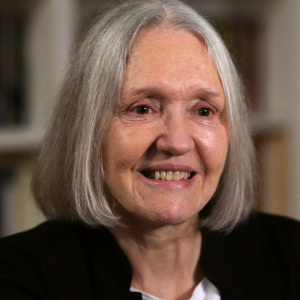 Saskia Sassen is the Robert S. Lynd Professor of Sociology and Member of the Committee on Global Thought, Columbia University. She is the author of several books, including Territory, Authority, Rights: From Medieval to Global Assemblages (Princeton University Press 2008) and A Sociology of Globalization (W.W.Norton 2007). Other recent books are the 3rd. fully updated Cities in a World Economy (Sage 2006), the edited Deciphering the Global (Routledge 2007), and the co-edited Digital Formations: New Architectures for Global Order (Princeton University Press 2005). She has just completed for UNESCO a five-year project on sustainable human settlement with a network of researchers and activists in over 30 countries; it is published as one of the volumes of the Encyclopedia of Life Support Systems (Oxford, UK: EOLSS Publishers). The Global City came out in a new fully updated edition in 2001. Her books are translated into twenty one languages. She has received several honors and awards, most recently a doctor honoris causa from Delft University (Netherlands) and from DePaul University USA). She serves on several editorial boards and is an advisor to several international bodies. She is a member of the Council on Foreign Relations and the National Academy of Sciences Panel on Cities, and has chaired the Information Technology and International Cooperation Committee of the Social Science Research Council (USA). She has written for The Guardian, The New York Times, Le Monde, the International Herald Tribune, Newsweek International, Vanguardia, Clarin, the Financial Times, among others, and contributes regularly to www.OpenDemocracy.net and The Huffington Post. © 2017 Institute for Public Knowledge.